Our PUBG War Mode Dodgebomb guide contains details of the event schedule, available queues, and all of the special event rules of this limited time mode. 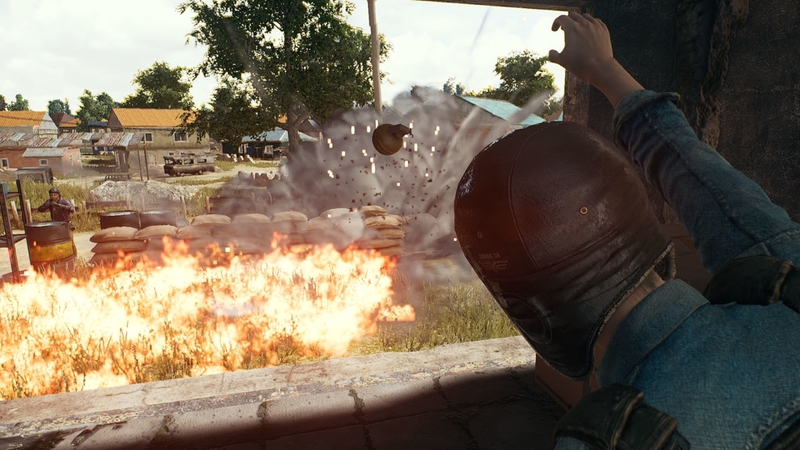 Dodgebomb is PUBG’s latest limited time mode and it’s arrived with a bang (sorry). As the name suggests, it’s a mode focused purely on the chaos that a frying pan, molotov and 20 frag grenades can cause. Teams of 10 players will drop into Erangel armed with a suite of gear perfect for exploding enemies or smacking them up close. As it’s a War Mode vent, players are able to respawn in planes that fly by every 30 seconds, but there aren’t any knockdowns - only blast offs. Below we’ve put together everything you need to know about this new event mode and it’s all-important ruleset. We’ve also highlighted the event schedule, what numbers you’ll be able to queue in and a few other details too. Dodgebomb begins on the 9th August 2018 at 7:00PM PST. That’s 10th August 4:00 AM CEST and 11:00 AM KST for those of you in other parts of the world. The event comes to an end on 12th August 7:00 PM PST or 13th August 4:00AM CEST or 11:00AM KST. Here’s a complete list of all the special rules for the event, including what weapons you can use, how many people you can team up with and more. If no team reaches 100 points before the time limit, the team with the most points wins.